From the living room to the nightstands in the bedroom of your designer homes, some extra lighting is key to a rounded out and functional space in the home decor. But that doesn’t mean that necessity inside those areas needs to be boring. Instead, check out these 5 super cool lamps that will amp up your beautiful homes side table style by just adding it to the scene. Our favorites our below, let us know which one strikes your fancy and suit the interior design of your designer homes! Target stopped us in our tracks with this golden unicorn lamp. Whether it’s in the kiddo’s room or on the desk in your office, this will definitely make a fun statement and fit in your home decor. And it’ll combine well with colors and neutrals alike. 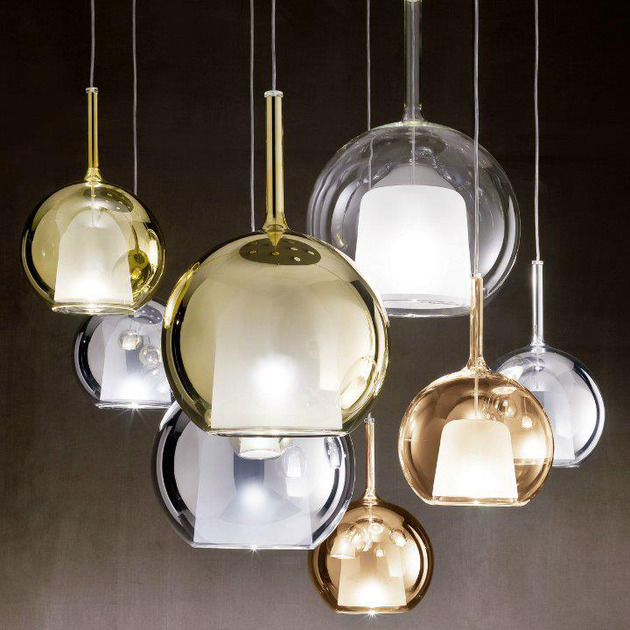 The GLO Collection by Italian lighting company Penta is an elegant though unusual collection of pendants that will light up your designer homes and illuminate your sleek sense of interior design. 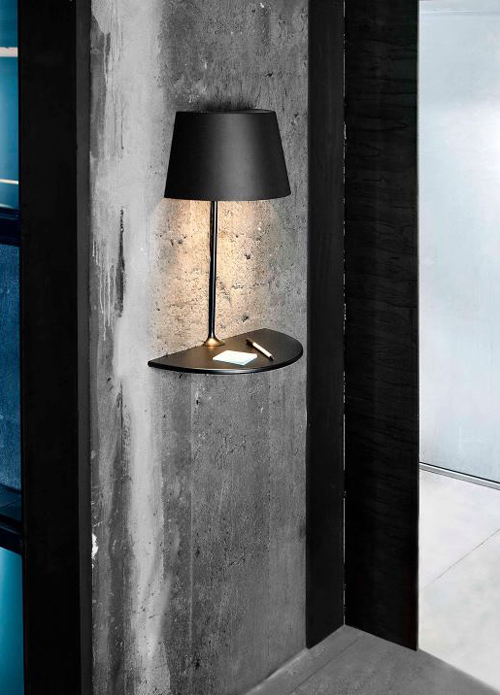 These contemporary lamp design ideas by Carlo Colombo features globes of borosilicate glass finished with chromed metal and suspended by a barely-there line for a floating effect. 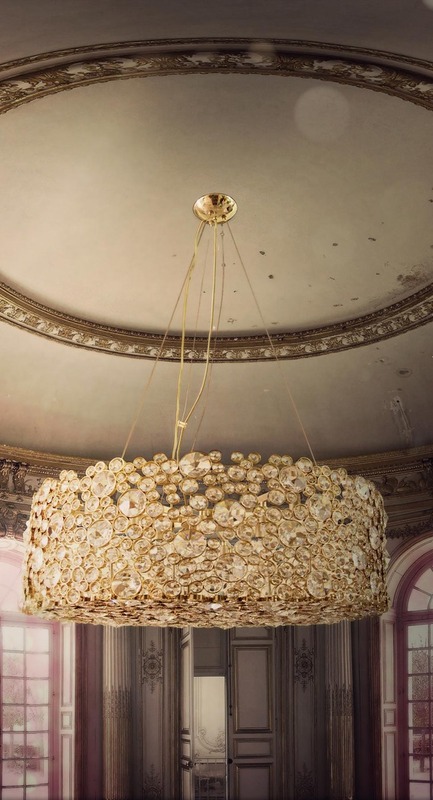 The glass comes in clear, or opt for a gold, silver or iridescent treatment for a touch of luxury to these suspended sculptures of glass and light. We love the look you get by grouping different sizes and finishes at different heights, hanging low from a high ceiling and creating an illuminated art installation. Suspended in a stairwell, the effect is simply stunning. But the GLO pendant also makes an eye-catching impression when hanging all on its own – a solo stunner in the dining area, living room, home office or library. Also available in a table lamp design. 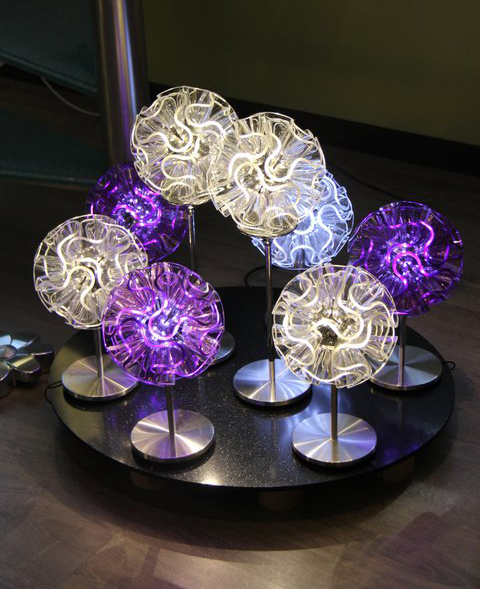 For additional info and other home decor products please visit Penta Light. 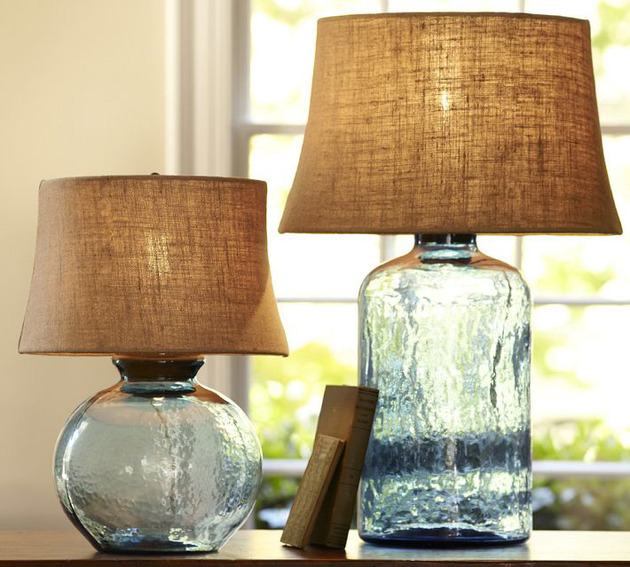 Perfectly on trend with the colored glass craze, this collection of Clift Glass Table Lamps from Pottery Barn is a light and airy addition to any casual, comfortable, eclectic setting of your designer homes. Design ideas inspired by oversized wine jug spotted at a Sonoma winery, these glass table lamps have a wonderfully rustic quality that’s perfect for laid-back living rooms, relaxed reading rooms, and cottage-chic spaces where R&R is the name of the game. The hand-blown glass boasts a flawed, dappled texture which reminds us of weathered beach glass, scoured, shaped and faded by relentless crashing ocean waves. Choose from round and cylindrical shaped bases, available in transparent Blue, Espresso and Eggplant colors to suit the interior design of your beautiful homes. Light up your home and visit Pottery Barn. 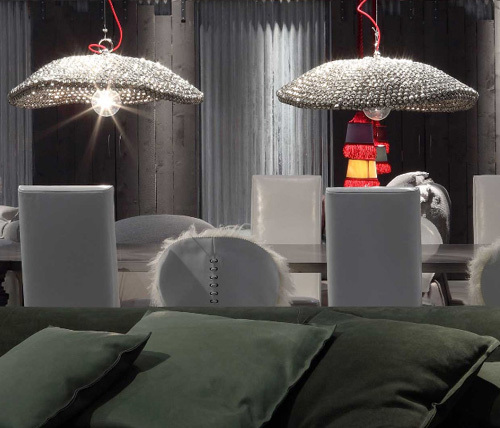 Like an illuminated inverted bouquet handing overhead, the 28.37 Pendant from Bocci is as much a contemporary art piece as it is a functional light fixture for your designer homes. 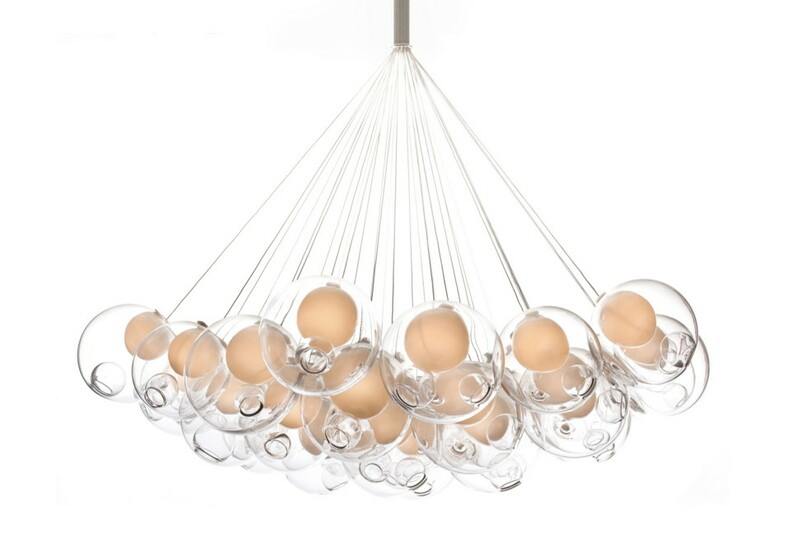 This ultra modern suspended light boasts clear blown-glass spheres enclosing floating, frosted-glass globes, each one gently illuminated from within, what design ideas!. Every individual orb is suspended by a delicate wire, stretched taut to add a linear element to this sculptural arrangement and fit in perfectly with the interior design of your beautiful homes. Take the minimalist approach with a chic clear/white combo, or splash up your space from above with a cool mix of clear and colored bubbles. Forget flowers… Dress up your dream homes with this beautiful bouquet! For additional info and other home decor ideas visit Stylepark. 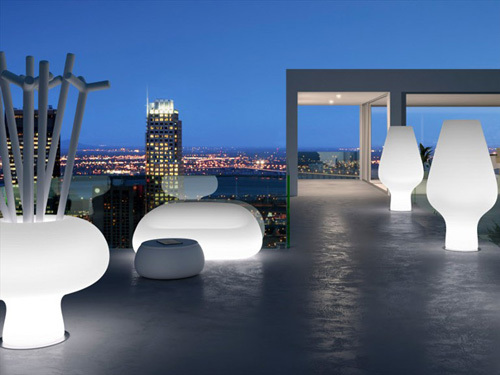 Leave it to a Plust Collection to provide dramatic yet elegant polyethylene lighting solutions for interiors and exteriors alike. Inspired by the appeal of oversized flowers, the Harbo and Boyo polyethylene lights can create a very special environment in any modern / contemporary interior design. Harbo is the taller, slimmer light, whereas Boyo is the rounder, shorter one. 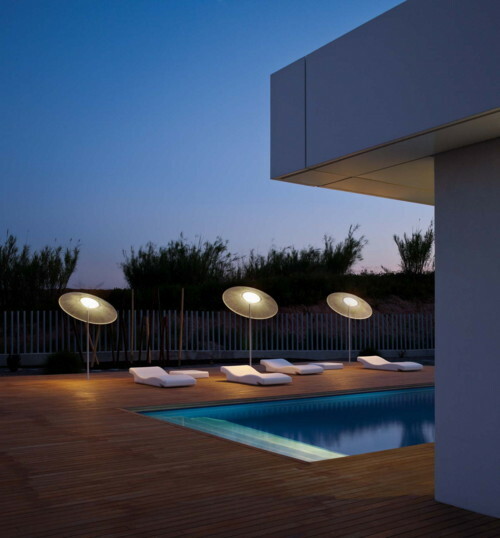 They are both sleek and minimal and give off an inviting and calming glow. 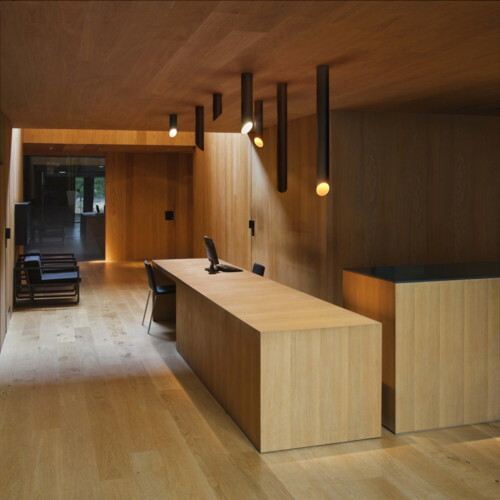 Shape and form is an important element when designing spaces. 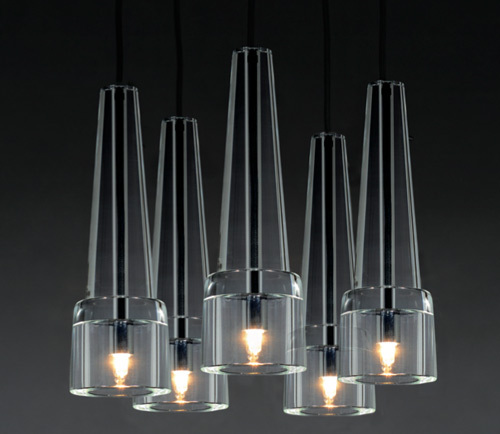 These Plust lights are a wonderful way to add that dimension to your designer homes. The vases are 100% made in Italy out of polyethylene with a stainless steel base. Find out more at Plust. 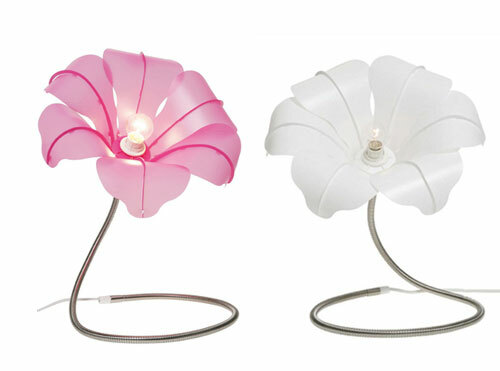 Bloom lamps by Kare Design are swing arm table and floor lamps that are playfully whimsical in a contemporary way. 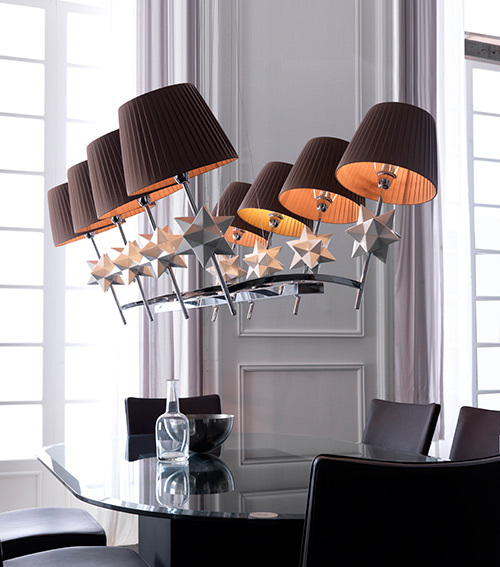 Perfect for those who like to inject a little dramatic flair for a fun, modern space. The pink or white ‘petals’ that surround the bulb create the exciting and characteristic flower-like shade, made of polypropylene. The swing arm base, made of iron chrome, can be moved and shaped as desired, which means you can adjust the lamps height, reach and direction to suit your needs in the interior design of your designer homes. A real bouquet of light to brighten your day. Learn more about interior decoration and other other home decor products at Kare Design.